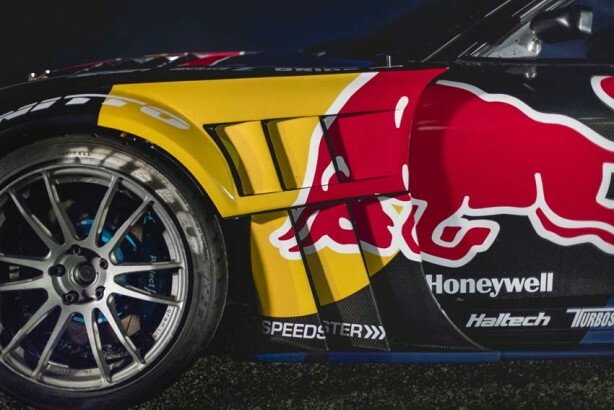 “Mad” Mike Whiddett and Taisuke Kawato of Total Car Produce Magic unveiled HUMBUL’s new livery at the Formula Drift Japan. 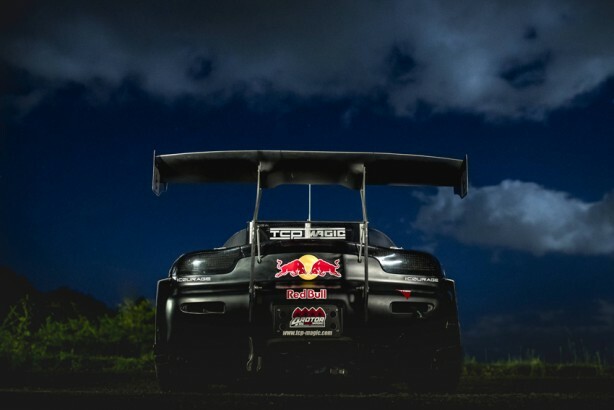 Built in Japan by Taisuke Kawato and his company Total Car Produce Magic, HUMBUL is powered by a twin turbo, quad rotor ‘R26B’ which produces not-so-subtle 1200hp and an unmistakeable roaring sound. 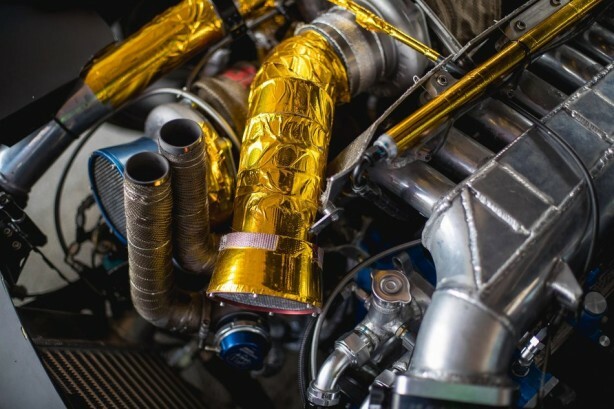 This monster of an engine is controlled by a full Haltech engine management system with an Elite 2500 at the heart of it. 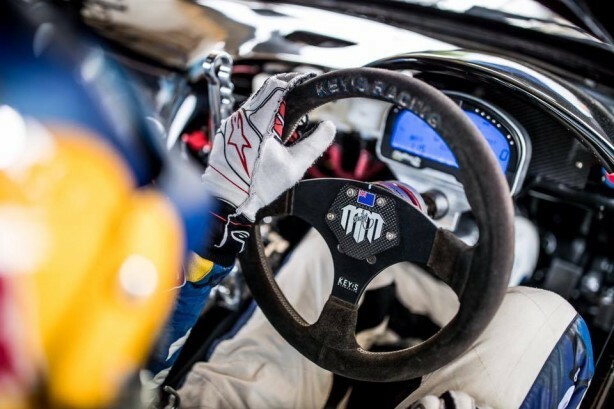 Haltech’s IQ3 Logger Dash takes care of display and logging duties. 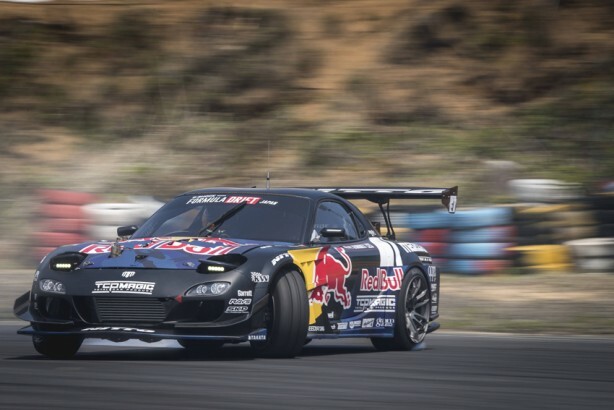 Looking menacing in black with a striking Red Bull logo, the RX7 performed well in practice with Mike putting in five solid laps, re-familiarising himself with the Ebisu circuit. 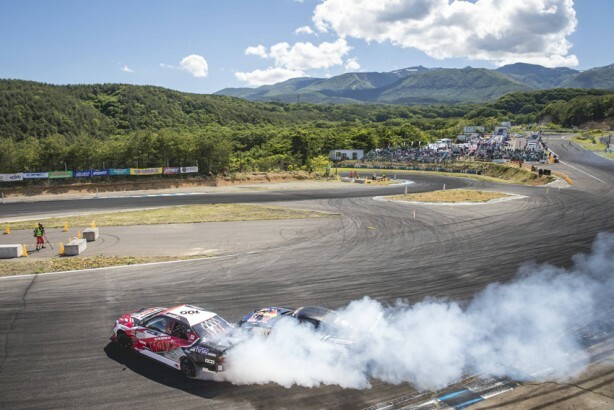 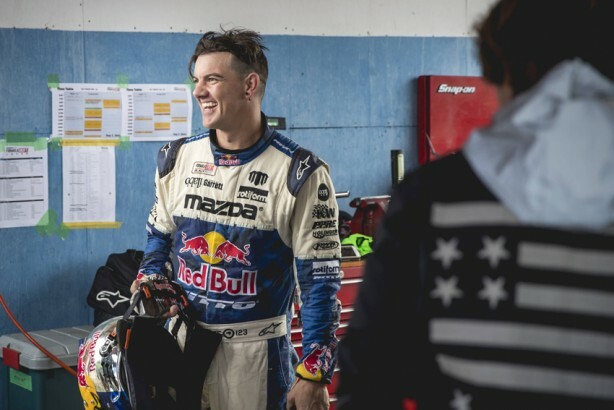 Held on the Higashi Circuit (part of the Ebisu Circuit) in the Fukushima Prefecture, the second round of the Formula DRIFT Japan Championship was run in near perfect weather and track conditions. 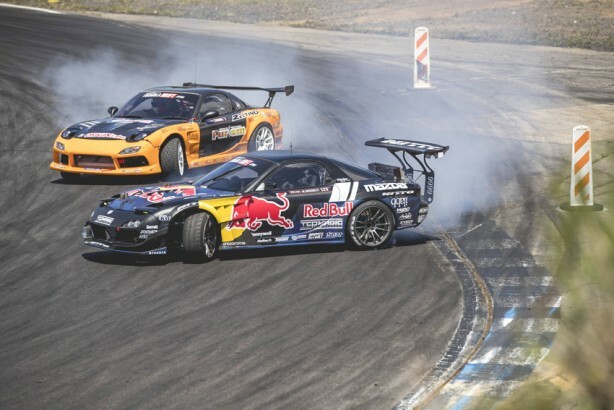 In the Top 32 Mike battled against a fellow RX7FD driver – Yamamoto. 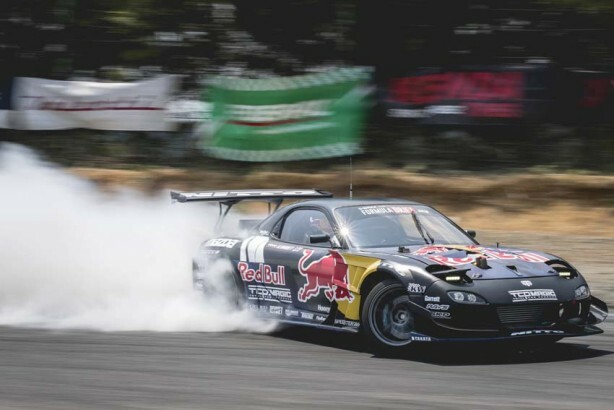 Mike took the win after a tight, door-to-door chase, progressing to Top 16. 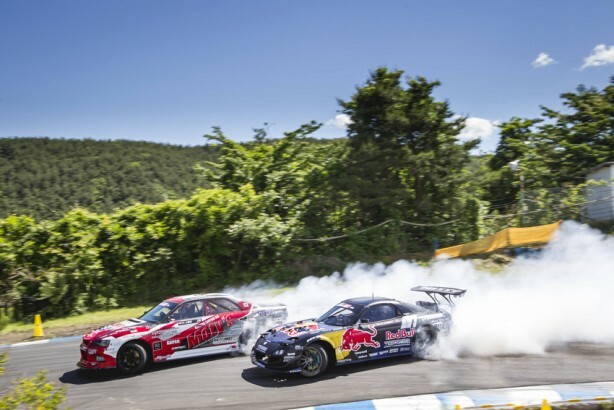 Top 16 saw Mike square off against Andy Gray. 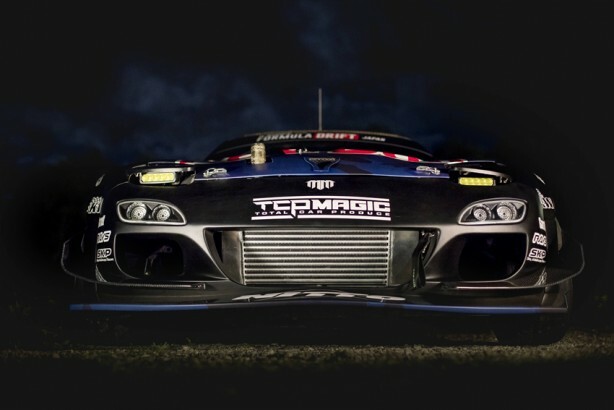 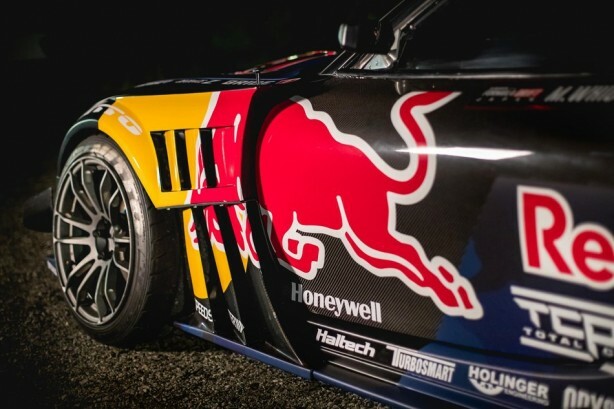 Haltech is a proud sponsor and supporter of Mad Mike Whiddett and “HUMBUL” RX7.